Do you have skin tags you want removed? Perhaps you have warts that you would like removed? If you have skin tags or warts that are unsightly or painful, they can easily be removed. Unlike freezing them, which is painful and takes a few weeks for results, we use a specially formulated plasma pen. With this treatment you get instant and everlasting results. The wart or skin tag will not grow back. 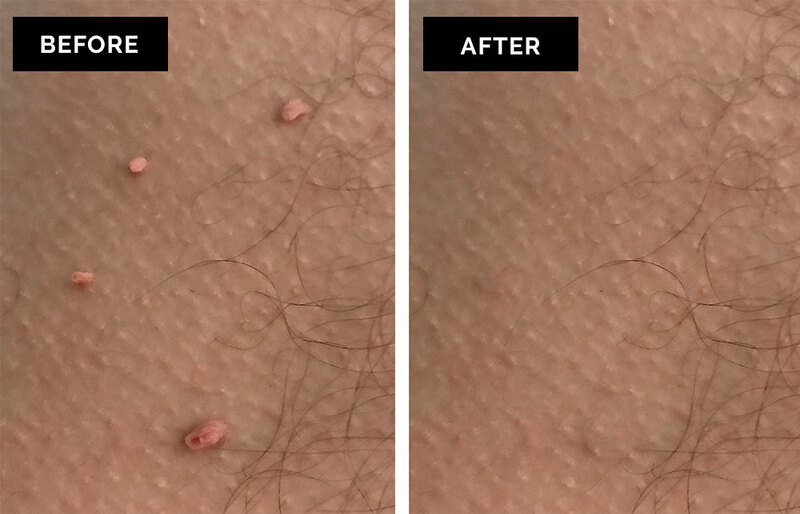 The cost of skin tag or wart removal starts at £110 - this fee may vary depending on the number of tags/warts and their location on your body. The therapist during your consultation will be able to inform you if the price is different. The plasma pen using microneedles that penetrate the skin to the depth of 0,2 – 0,75mm and the procedure is considered to be painless. We use localised numbing cream to minimise any pain.